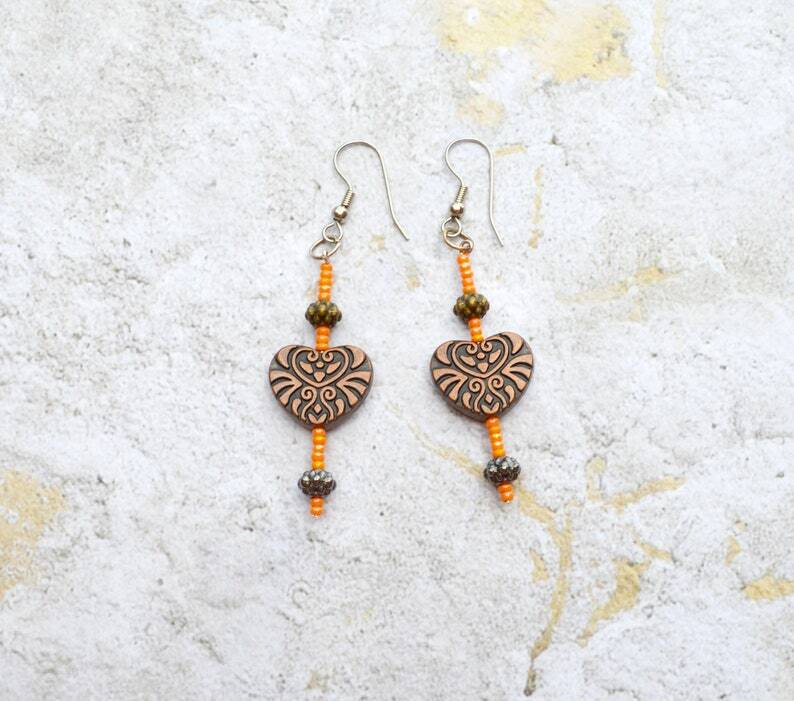 These copper heart shaped earrings are beautiful. They also have tiny seed beads in orange. The ear hook is nickel free and the backing is hypoallergenic.